City of Perth chief executive Martin Mileham with WAITOC chief executive Robert Taylor and Go Cultural Aboriginal Tour operators Walter McGuire and Meg McGuire. Picture: Matt Jelonek. A RECENT funding boost could help raise the profile of Indigenous culture among tourists, according to WA Indigenous Tourism Operators Council (WAITOC) chief executive Robert Taylor. The City of Perth recently provided $30,000 through the 2018 Aboriginal Tourism Product Development Initiative (ATPDI) after co-sponsoring the pilot in 2017 – which helped four Aboriginal tourism businesses. Mr Taylor said he wanted to see the number of tourists engaging in authentic Aboriginal tourism experiences increase. “Research shows that only one fifth of visitors participate in Aboriginal culture experiences while on holiday in WA, whereas about two thirds would be interested if the experiences were readily available,” he said. The Visitor Experience and Expectations Research (VEER) 2016-17 report also found international visitors had the highest participation rates in Aboriginal tourism, while intrastate visitors had the greatest interest. The research revealed Aboriginal galleries and viewing of arts/crafts was the most common activity tourists took part in. 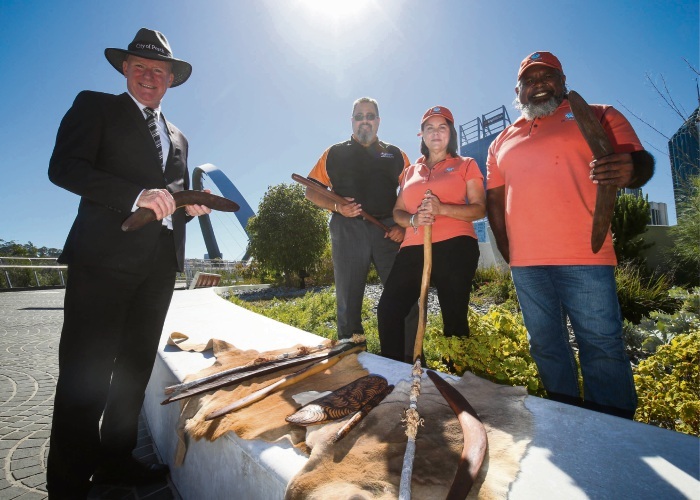 City of Perth chief executive Martin Mileham said the pilot gave an insight into the Aboriginal tourism sector, including issues and needs that allowed for future planning and workforce development. WAITOC recently announced a partnership with Indigenous Business Australia to launch a Business Support Program aiming to foster growth and expansion of a range of authentic Aboriginal cultural tourism experiences throughout Western Australia.